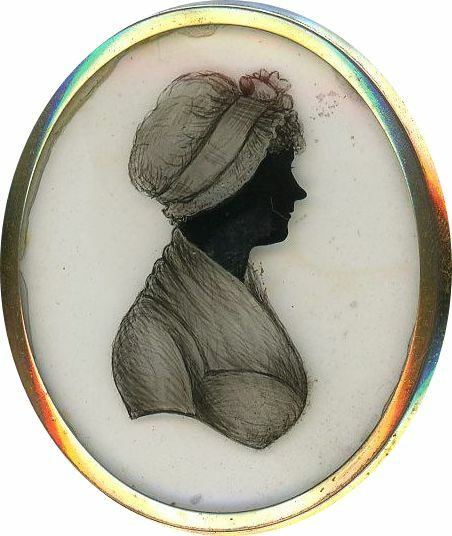 A bust-length silhouette of a lady named Mrs Coley in a high-waisted dress with a low neckline worn with a fill-in to protect her modesty. Short curls are just visible under her soft cap. 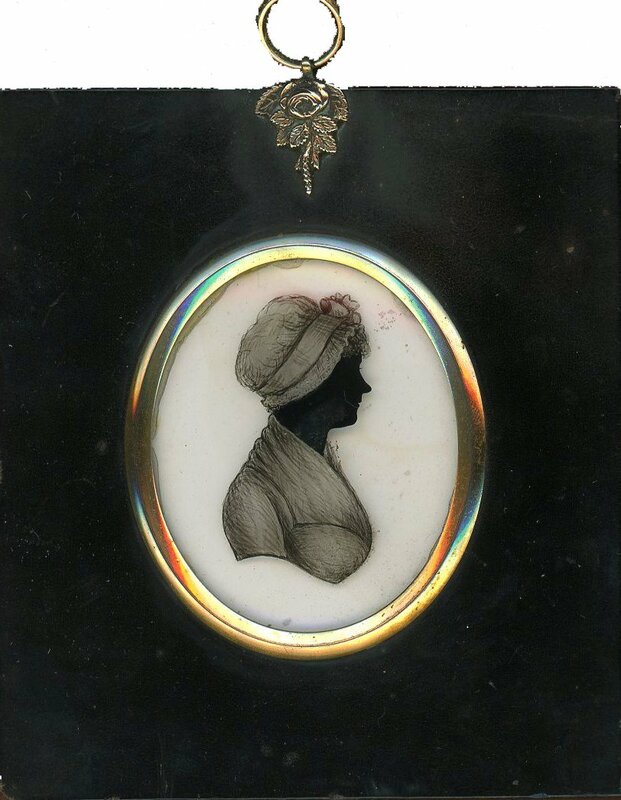 The silhouette is reverse painted on convex glass in solid black with thinned pigment used for the dress and cap. The profile is backed with plaster which has a couple of chips along the top edge. The glass has also some short scratches. 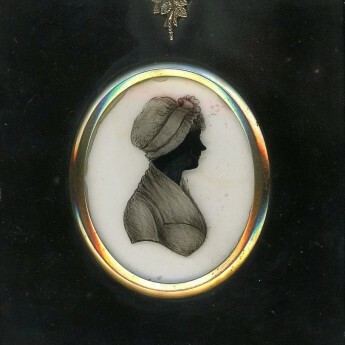 The portrait is set in the original papier-mâché frame with a floral hanger. It is backed with the artist’s trade label no. 1 used whilst his studio was at no. 17 Union Street, Bath. 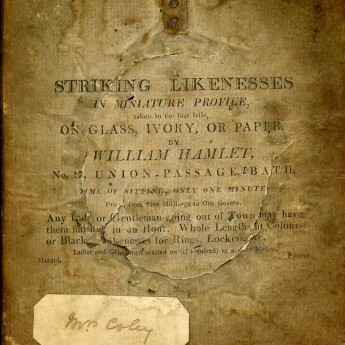 Assumed to have been born in France, William Hamlet the Younger came to England as a young man when his father returned there. 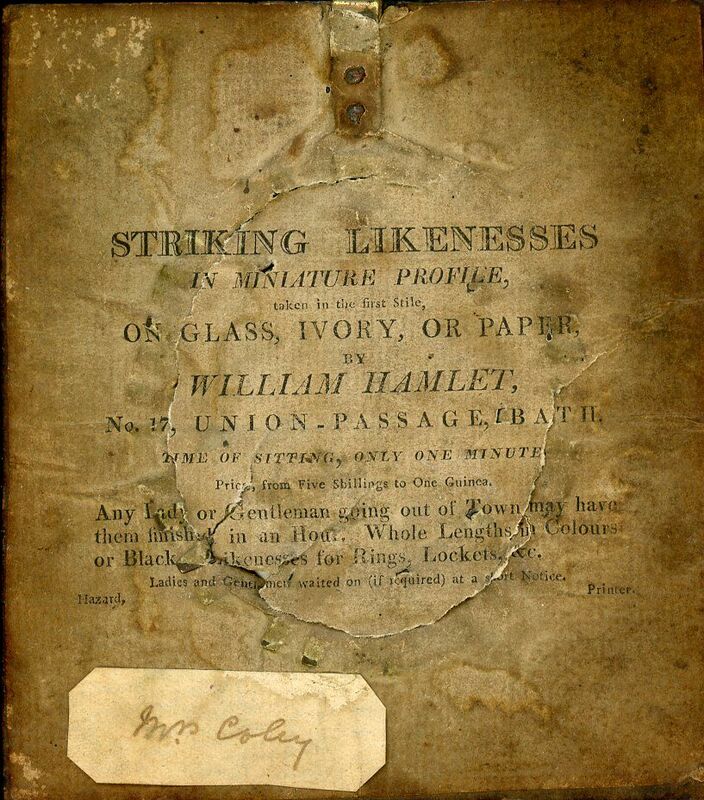 He married Jane Fox in 1801 and worked alongside his father in Bath. He died in 1815 pre-deceasing his father.